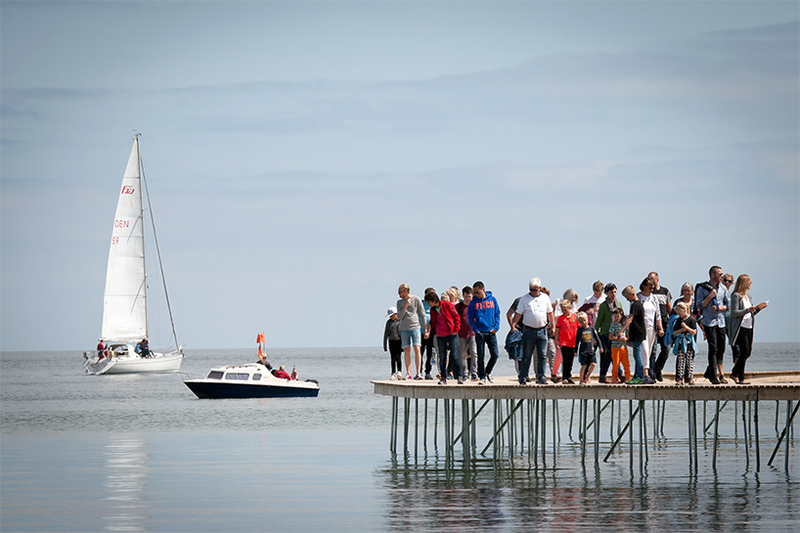 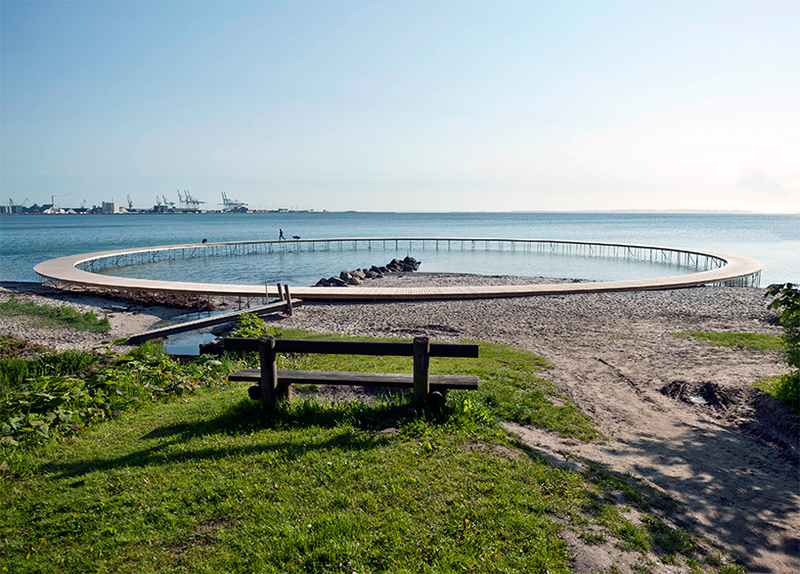 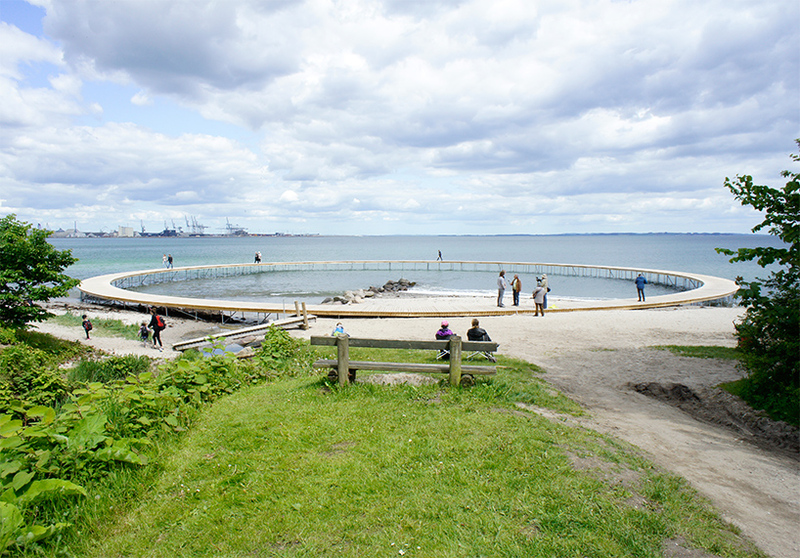 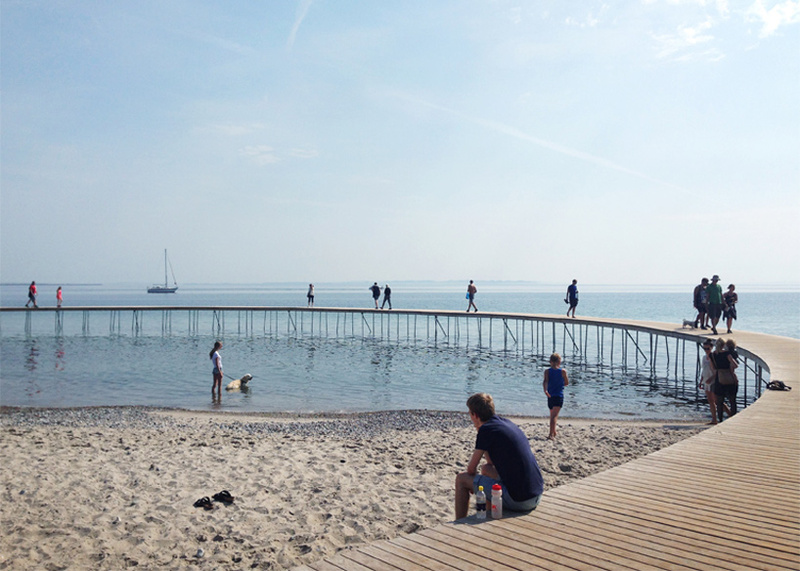 during this year’s sculpture by the sea festival in aarhus, denmark, danish practice gjøde & povlsgaard arkitekter has added ‘the infinite bridge’ to the picturesque coastal landscape. 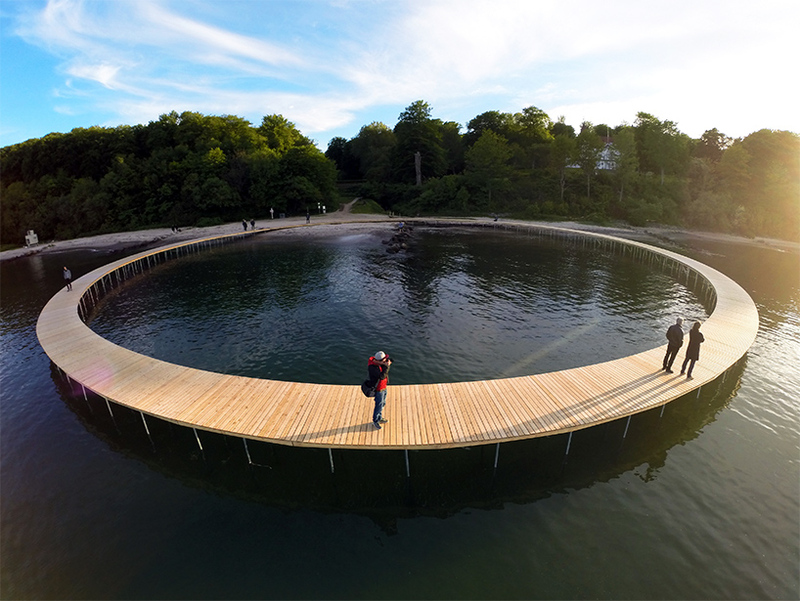 the circular structure spans from the sandy shore out to sea, elevated just above the surface of the water — depending on the tide. 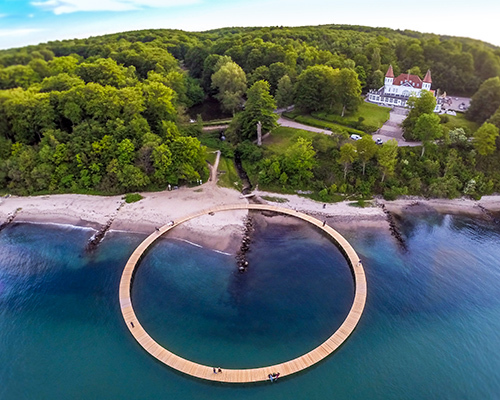 the infinite bridge’ has been realized for the exact location, and refers to a historical, demolished jetty on the site. 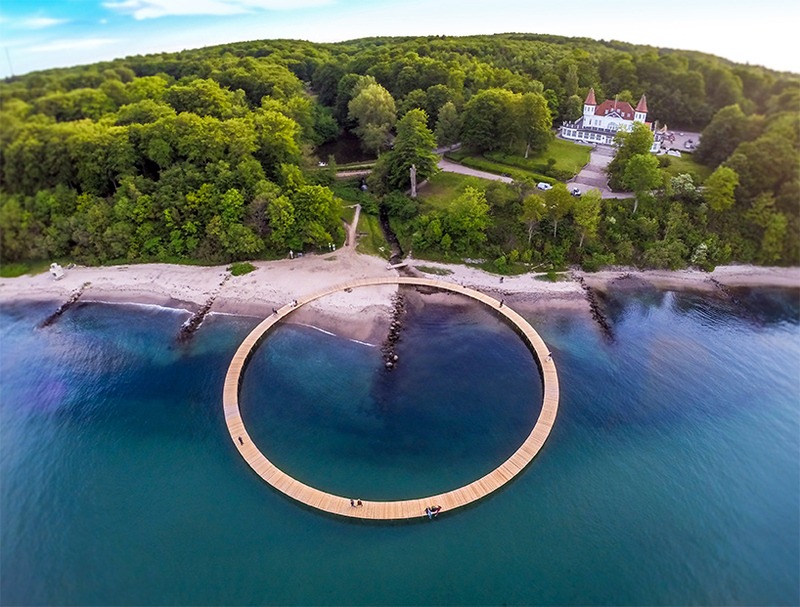 beginning at the coast, visitors follow the ring-shaped formation from the beach to the water’s depths, making their way around the vast and continuous construction.the center is situated at the end of a groin, and the construction is positioned half on the beach and half in the sea. 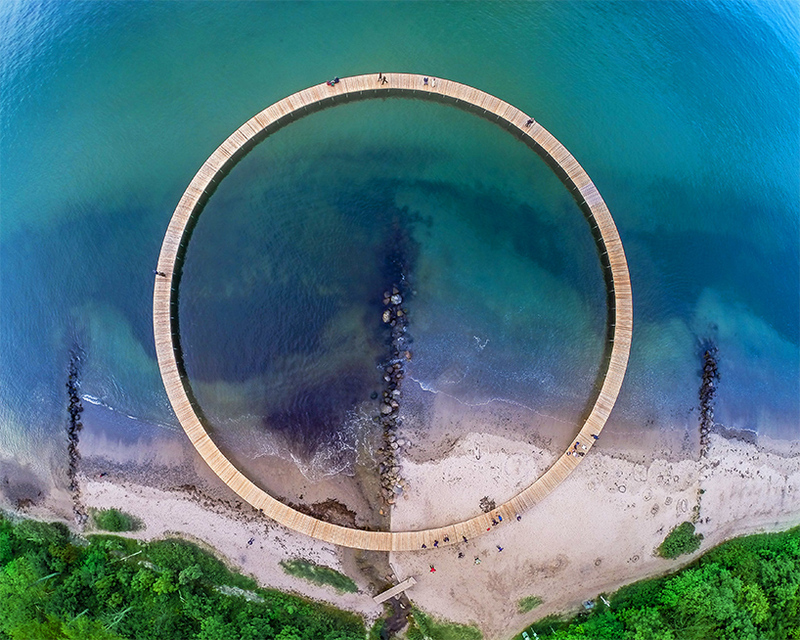 a 60-meter diameter separates spectators on the seaside from the participating pedestrians situated at the furthest point from the coast.